Our solutions originated in this market space and are used by a growing number of broker/dealers to serve their clients. Both banks and credit unions are the end recipients of standard and custom ALM reporting, budgeting and portfolio analytics powered behind the scenes by ZMFS. Pre-trade activities such as investment pricing and funding alternatives are often modeled using our systems. 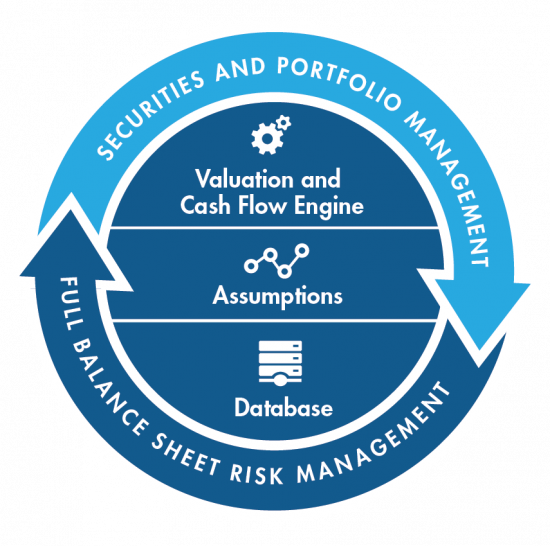 Various analytics such as liquidity, valuation and what-if modeling are developed using ZMFS. And, of course, traditional interest rate risk reporting such as shocks, ramps and assumption stress testing are the most common use of our systems by the broker/dealer community. The ZMFS platform was designed specifically to support many institutions while sharing certain data, such as market rates. The database structure, security, menus and even reporting were designed to allow many individuals to work across institutions at the same time.